Livability Fayetteville an annual print magazine and digital content marketing program, encourages business investment, talent recruitment and relocation by reaching entrepreneurs, site selectors, corporate executives and other talented individuals and families attracted to our quality of life. 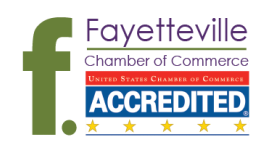 This​ ​is​ ​the​ ​Fayetteville​ ​Chamber​ ​of​ ​Commerce’s​ ​primary quality-of-life​ ​marketing​ ​program​ ​for​ ​talent​ ​attraction.​ ​We hope​ ​you’ll​ ​join​ ​us​ ​in​ ​spreading​ ​the​ ​word​ ​about​ ​what​ ​a​ ​great place​ ​this​ ​is​ ​to​ ​live​ ​and​ ​do​ ​business! Each year, we work with Livability Media to produce a top-quality print magazine, digital magazine and rich content on Livability.com — all promoting our favorable business climate, attractions and enviable quality of place. Click​ ​through​ ​and​ ​share​ ​articles​ to read about business success stories, school programming, must-dos around the community and more. Each article includes share tools for quick posts to social media. To read​ ​and​ ​share​ ​the​ ​digital​ ​version​ ​of​ ​the​ ​magazine,​ click on the magazine cover image. You can flip through online or download the book in .pdf format. You can also use share tools to quickly send a link by email or post to social media. To get​ ​a​ ​print​ ​magazine​, contact us. It's the unique story of your community.